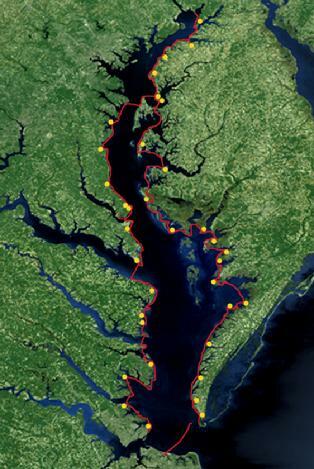 "Kayak Kevin's Chesapeake Bay Tour"
Brooks paddled out to meet me and give me a gallon of water, and info of the area. The beach was washed over during the storm, filling my tend with sand and water. I tried to move it and broke the pole. Plants growing on spots on the cliff where ground water seeps out.